Wow, seeing Anggun in person (middle) is just phenomenal. She was at the first of SK-II's #changedestiny forum series, which also featured Sha (right), Thailand's social influencer and author. SK-II's new philosophy - Change Destiny - is inspired by stories of women who have overcome personal and societal limitations to change their destiny and achieve success. Because "destiny is not a matter of chance; it's a matter of choice". Anggun shared the challenges she faced in trying to break into the international scene with her music, and how she persevered and surmounted setbacks to achieve success in Europe. Her debut international album went platinum in France, double platinum in Italy, gold in Switzerland and so forth. She's got five albums to her name in English and French, and received accolades including the prestigious Chevalier des Arts et Lettres Medal. Today she's also the United Nations Goodwill Ambassador. "For me, #changedestiny is not about achievement, but about believing that you can go beyond what you expected possible. When I first started to pursue my music in Europe, there were people who asked why I was not satisfied with the success I already had in Indonesia, but I did not let htat hold me back I am proud to be part of the #changedestiny movement, to inspire other women to never settle and to chase their biggest dreams," said Anggun. The talented singer-songwriter completely roused everyone's motivation in the room that day. And she is still as beautiful today as she was singing Snow on the Sahara all those years ago. Along with Anggun, we heard from Sha, founder and writer behind "Tood's Diary" Facebook page which attracted 566,000 followers within a short span of two years. Sha discussed her internal struggles she experienced her whole life, how she found her voice in writing, embracing herself and earning acceptance from loved ones. When she was young, her father disapproved of her for not being like other 'normal' boys. Sha was determined to be true to herself and prove her worth to her family. She studied hard and worked hard. Authenticity flows from her Facebook posts which encourages others to follow their dreams. After huge success on social media and two published bestsellers, Sha's father finally accepted her for who she was. Sha counts that as her real success. I applaud SK-II for including people like Sha as inspiration models. You can follow them and others on the SK-II YouTube channel. Meanwhile, many SK-II users swear by the brand to create their best selves, starting with the skin. Cate Blanchett counts it one of her best beauty investments, having used it for 12 years. 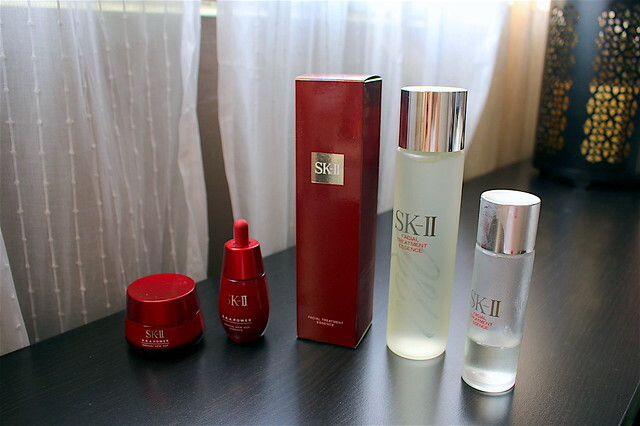 I am recently rediscovering SK-II's goodness. The Treatment Essence now does a lot more for me than it previously used to. Probably because my skin has become more dry, so now it loves to drink this up. They've launched an anti-aging range - the R.N.A. Power Radical New Age moisturising cream (left) and R.N.A. 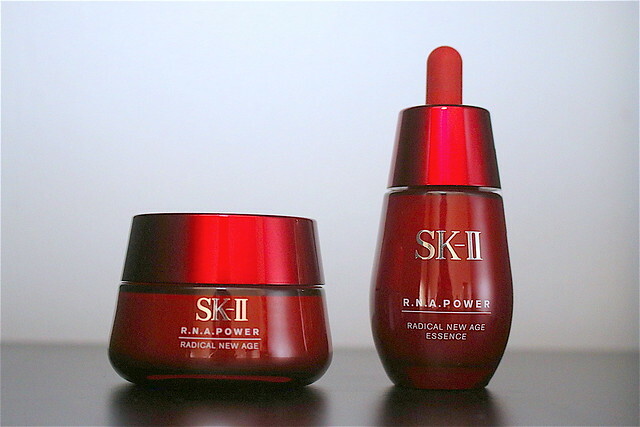 Power Radical New Age Essence (right). SK-II's bestselling moisturiser has been upgraded with anti-aging technology to treat not just severe aging concerns but holistically treat all 10 signs of aging: loss of firmness, dryness, fine lines and wrinkles, sallowness, lack of resilience, visible pores, sagging skin, lack of radiance, roughness and loss of tightened facial contours. The Essence is the critical first line of defence against emerging signs of aging, specifically the visibility of pores and texture of skin. I'll be testing the two new products, so watch out for a subsequent post.